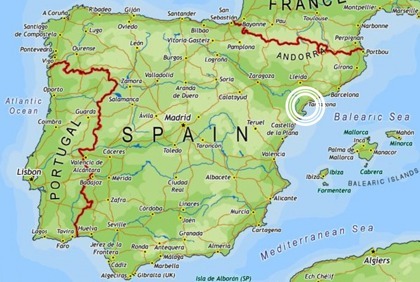 Costa Daurada lies just south of Barcelona in Spain. Driving time from Barcelona Airport is 1 hour if choosing the excellent toll roads (C-32 and AP-7). The quality of roads and highways is excellent and it is easy to find your way from the hotel to the different golf courses. Please use the map below to know more about the region. Costa Daurada means "The Golden Coast" and once you have visited you will know why. It is the perfect destination for your next golf holiday in Spain!